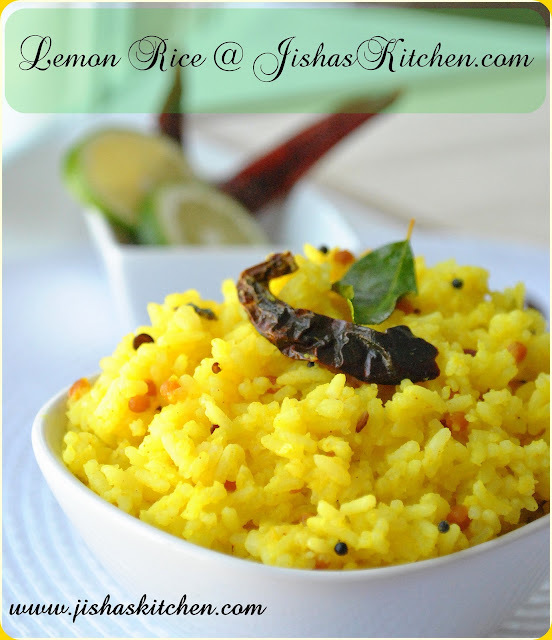 Today I am sharing the recipe of lemon rice / Lime rice. 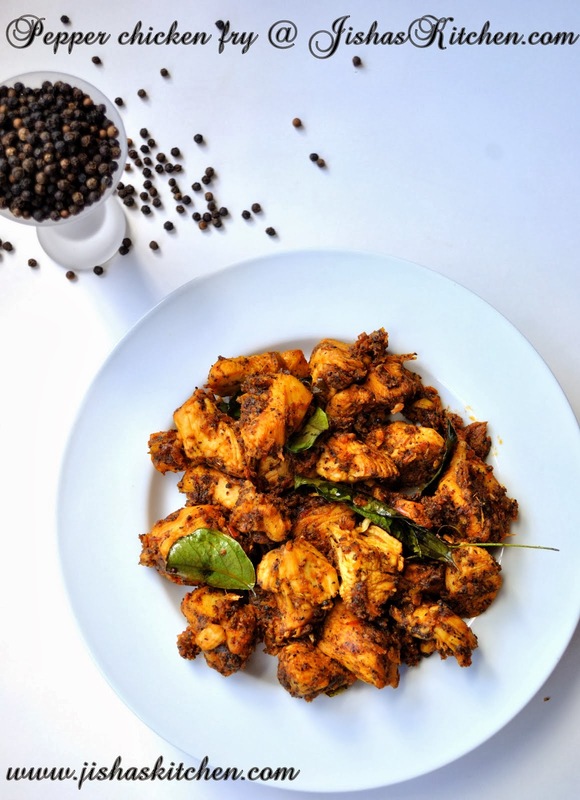 I remember having it when I was working in Bangalore.Even my mom used to make this at home. 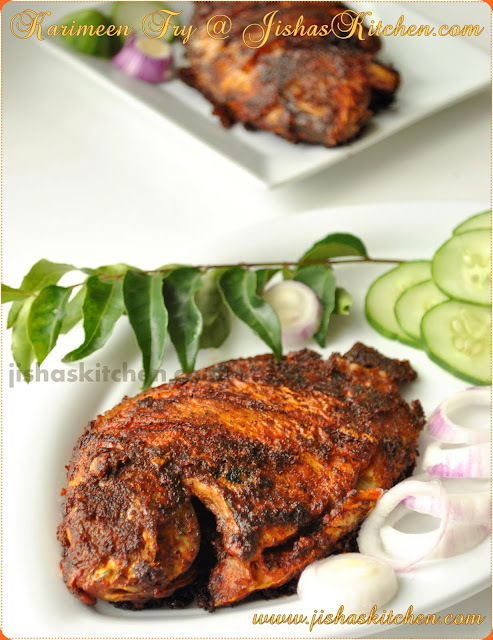 Its an easy and delicious dish and I mostly have it with just pickle or raita. First wash and cook rice by adding enough water and drain it nicely. Then heat oil, add mustard seeds and cumin seeds. When it crackle, lower the flame and add dry red chillies and curry leaves. Then add urad dal and chopped green chillies and fry till urad dal becomes golden brown in color. Then add turmeric powder and asafoetida powder followed by lemon juice. Then finally add cooked rice and enough salt and mix it slowly. After 2 minutes remove from the flame. Enjoy with pickle, pappad and raita. Variations : If you want then you can even fry cashew nuts and add that to the rice. Wow...lemon rice looks super....more than that your pic looks awesome ..
Tangy and yummy rice,inviting clicks ..yummy. Slurp,finger licking lemon rice,truly tempting. my fav....i often make it! !nice click! My favourite rice anytime, truly inviting and beautiful captures..
Wow..the best looking lemon rice I have seen...the color is FANTASTIC !! very nice dish..and great clicks too. I have a blog award for u dear, it is in my blog. ooh....is it lemon time around the blog world...he he he ......very yummy and refreshing lemon rice....superb photography!!! tempting n yummy recipe ...love d fab click.. Delicious lemon rice. I am a fan of it. Lovely color and very tempting bowl of rice! What an attractive picture!! Adipoli lemon rice..